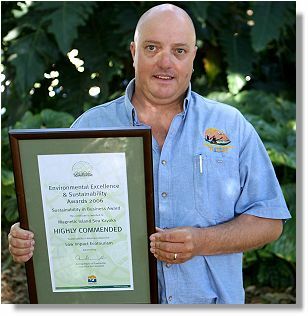 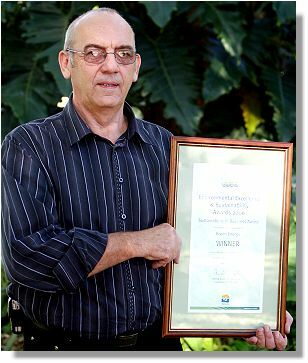 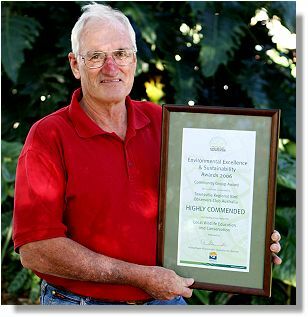 Highly Commended: Townsville Regional Bird Observers Club Australia. 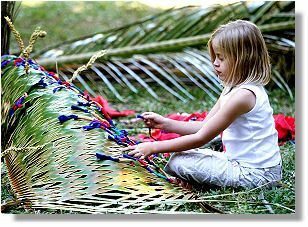 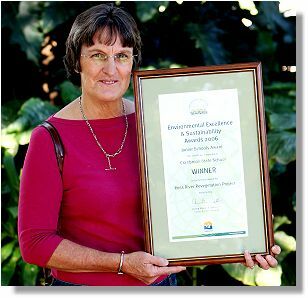 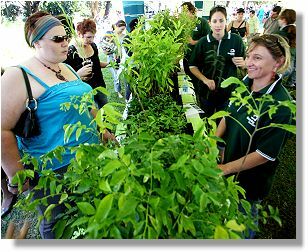 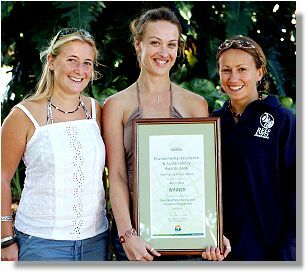 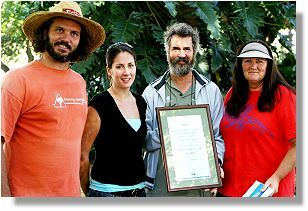 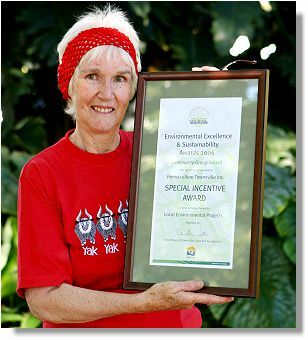 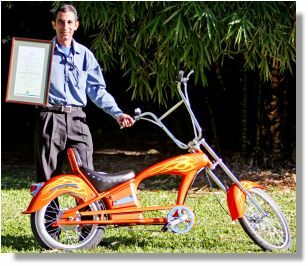 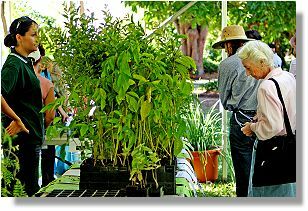 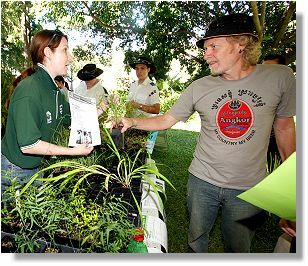 Special Incentive Award: Permaculture Townsville Inc.
Greening Townsville Tree Give-Away display. 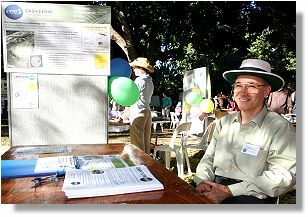 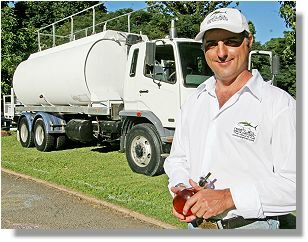 Guy Lane with reeFUEL Biodiesel on display. 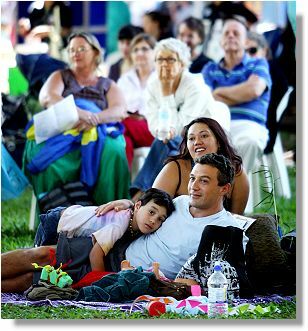 Crowd relaxing in Queens Gardens. 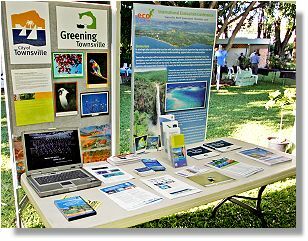 (triple 'e' dollar) system information display.